Ever wonder how your old friends from high school who spend too much time online find supremely appropriate GIF responses to virtually anything you say? 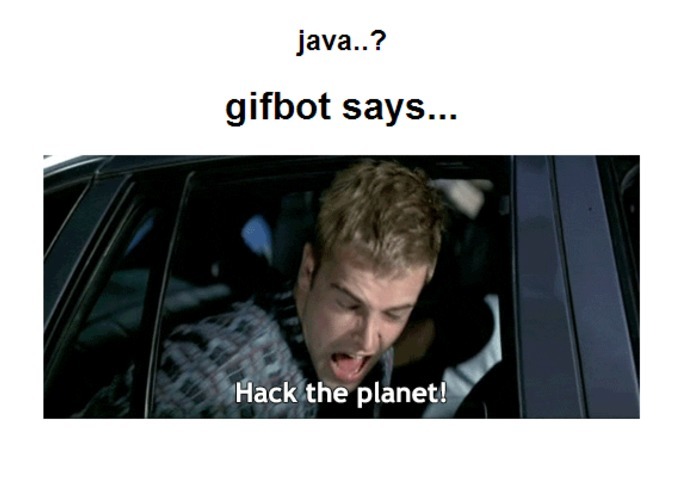 They use Gifbot. And you can too. 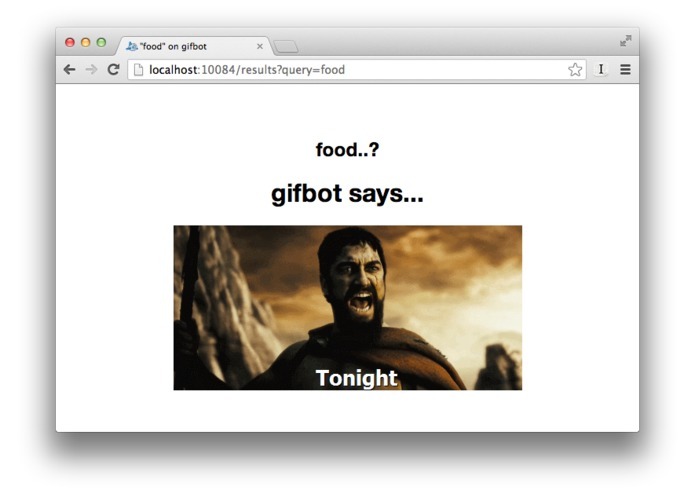 Nestled at a secluded URL (nwjpgif.appspot.com), Gifbot is the secret to finding the perfect GIF retort. You'll find GIFs so timely, so clever, so damn right that your family and friends will all assume you spend way too much time on the Internet. Powered by Google AppEngine(TM) instances humbly scraping exotic reddit comment threads around the clock for your pleasure that are transformed into solid gold by the wondrous Alchemy API.